Don't you miss the days when films were "attractions"? 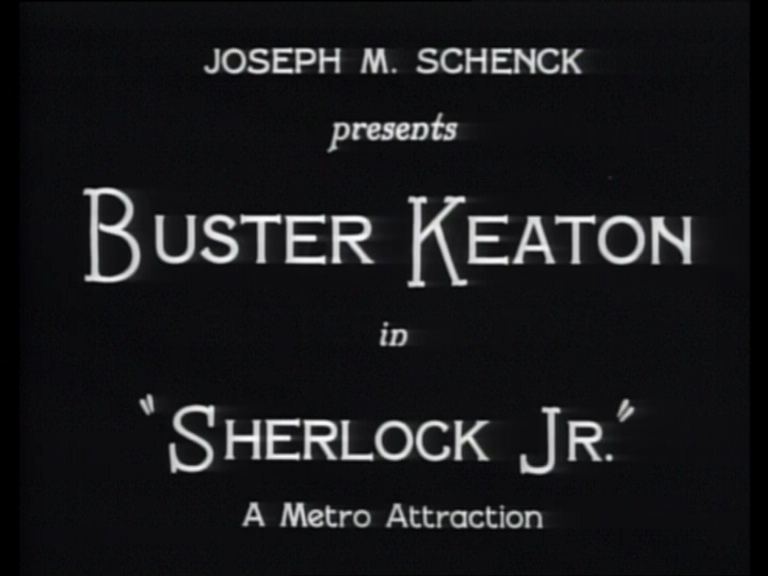 Sherlock Jr is only 44 minutes long, including credits. Buster Keaton manages to cram so much into just five reels, it boggles the mind. Not a second is wasted, from small-scale gags involving lost dollar bills or poisoned drinks, to a nailbiting sequence in which Keaton unwittingly rides the handlebars of an unmanned motorcycle. The cycle miraculously dodges perilous obstacles, clearing an oncoming train and driving along a collapsing bridge before he finally realises the driver has fallen off. These stunts were genuinely performed by Keaton. He only once used a stunt double (for a pole vaulting trick in College), and he would frequently even stand in for the other actors. Throughout his career he risked his life countless times for the sake of a laugh. Years after filming Sherlock Jr, he would discover that one stunt fractured his neck – that very take is in the finished film!